To help sustain a highly-skilled workforce on the Virginia Peninsula, Thomas Nelson Community College Workforce Development maintains a state-of-the art full-service training facility at the region’s Peninsula Workforce Development Center (PWDC) on the College's Hampton campus. Serving high-tech companies moving to the Peninsula, individual job seekers and existing businesses seeking to improve workers’ skills, the PWDC offers an array of services to meet the Peninsula’s workforce development needs. Leasable space includes a fully equipped Conference Center, featuring lecture, seminar, and dining areas, subdivided breakout rooms and a catering kitchen. There is an executive board room, five smart multi-media classrooms, four computer technology labs, and a Manufacturing Excellence Center that includes flexible manufacturing, electronics industrial and welding labs. 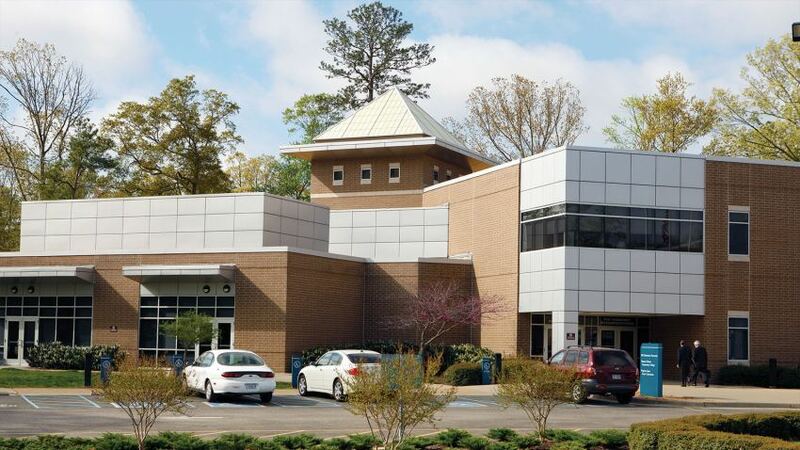 Located at 600 Butler Farm Road, the PWDC is equipped with a variety of presentation software and equipment with Internet connectivity. Manufacturing spaces have bay doors and offer 300 amp and 110, 220, 440 volt power, compressed air, vacuum, natural gas, and hot and cold running water as well as Internet access and CAD-CAM connectivity. Call (757) 865-3124 to reserve a room or for additional information.